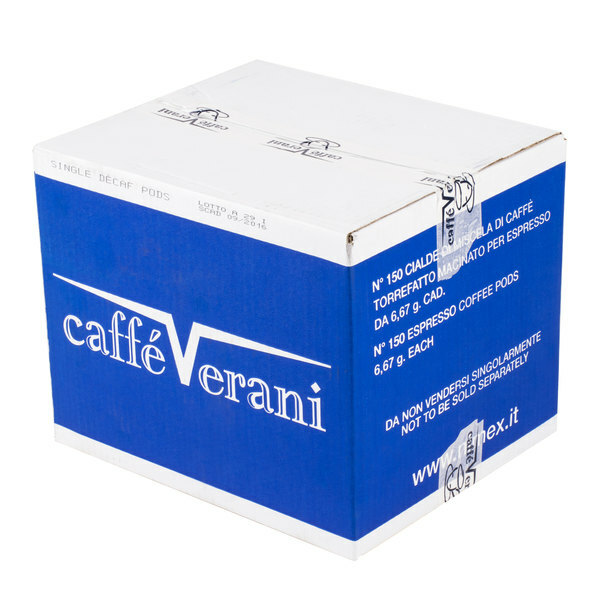 Quickly and easily deliver cup after cup of rich, aromatic Italian espresso with these Caffe Verani imported Italian single serve decaf espresso pods. This extra dark roast delivers the same robust, full-bodied flavor, velvety texture, and beautiful, long-lasting crema of traditional espresso that your customers crave, without the added caffeine. These pods provide a great, cost-efficient way to offer premium decaf espresso for your diet-restricted customers! While coffee has been around for centuries, it wasn't until 1901 that the first espresso machine was invented as a method of brewing finely ground, compacted coffee. Born from the need to serve individual cups of coffee in a faster, more convenient way, espresso is now deeply ingrained in Italian culture, and these imported espresso pods stay true to its traditional, high quality taste. Serve this espresso straight in a demitasse cup, or use it to make high quality decaffeinated cappuccinos, macchiatos, and lattes. No matter what coffee beverages your customers desire, this espresso provides the perfect base. I had enough guests express an interest for me to consider a decaf offering. Without knowing anything about the product I took a gamble, as the price was decent. I've had zero complaints from the customers! I love the packaging of these little pods. Makes it so convenient. 150 pods per box. You don't expect such a robust flavor from a decaf but this one has it. Very convenient and easy clean up. 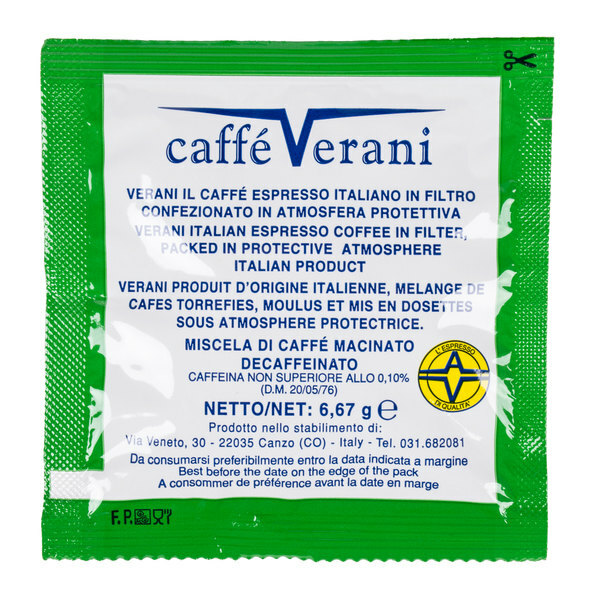 Our baristas use Caffe Verani Decaf Espresso Pods and our customers love our decaf drinks. Great quality for a great price. 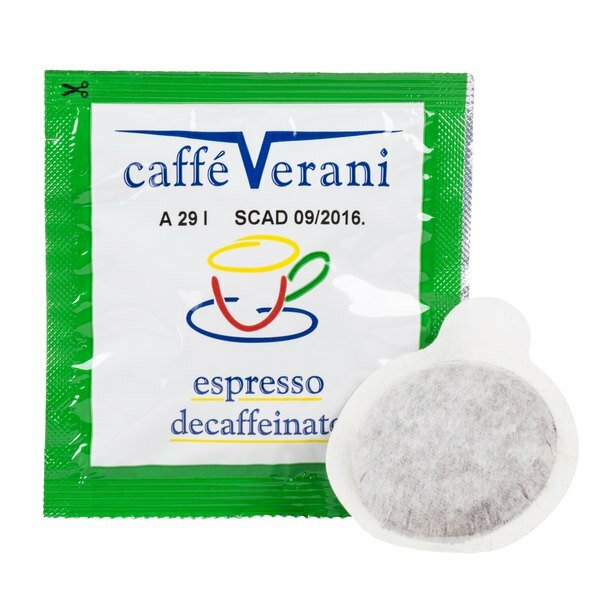 The Caffe Verani Decaf Espresso Pods are an okay tasting espresso. The price is great but my customers didn't like it so much. But, these can be used for home use or as a back up Espresso should you ever run out of your normal Espresso purchase. this brand of expresso wasn't very liked by my customers. The packaging is very high quality ,the espresso itself just wasn't good for my restaurant .still recommended to try. Recently ordered our first box, only because our customers have always been asking for decaf. Definitely worth buying, great taste. Most likely will order more! 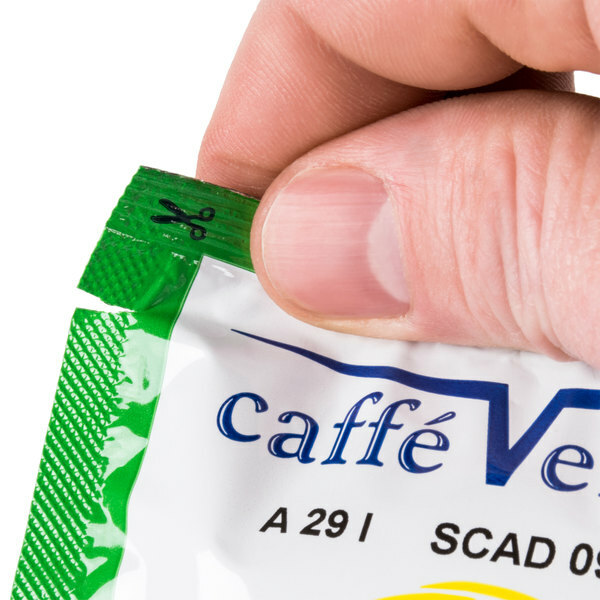 Decaf espresso pods are a perect fit in our porta-filters. We do very little decaf business and did not want to grind decaf so we are using these. These italian espresso pods are great for the price. 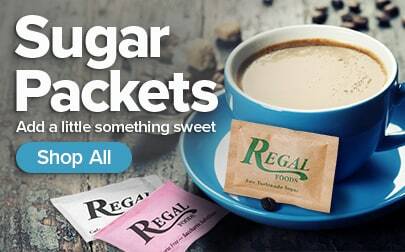 They taste great and can be used to make just about any coffee drink you want. Very good! These meet ESE spec well, tight pack with very few grounds outside of the pod. I do not drink straight espresso so take my review with a grain of sugar. I will say, with some sugar, a little cream and some ice, your icespresso will have your favorite coffee ice cream flavor with no off or after tastes. I use there for cappuccinos and have a commercial grade dedicated pod machine. I have tried many assorted pod packs. These rank well with all I've tried, although, I probably prefer columbian if I wanted to get picky. For the low price per pod here, you cannot find a better value. 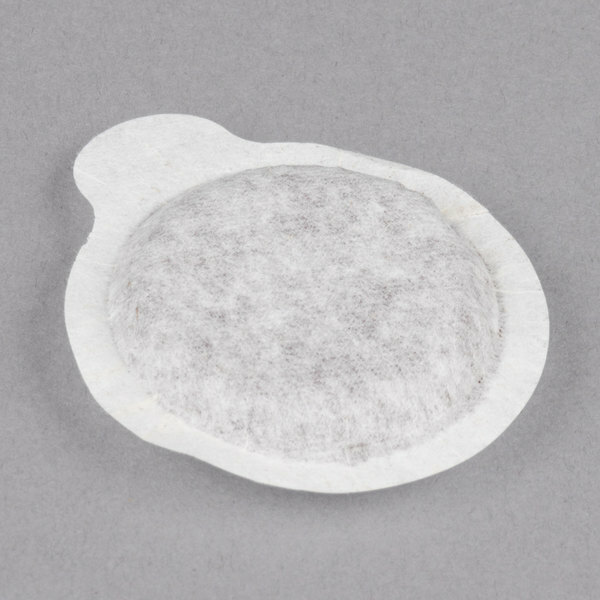 decaf coffee / espresso pods are so conveniet pods help you make just the right amount. and easy cleanup. flushed packet are freshness at a low buy.